Camp Seton brimmed with excited young boys on Saturday during Cub Fun Day. 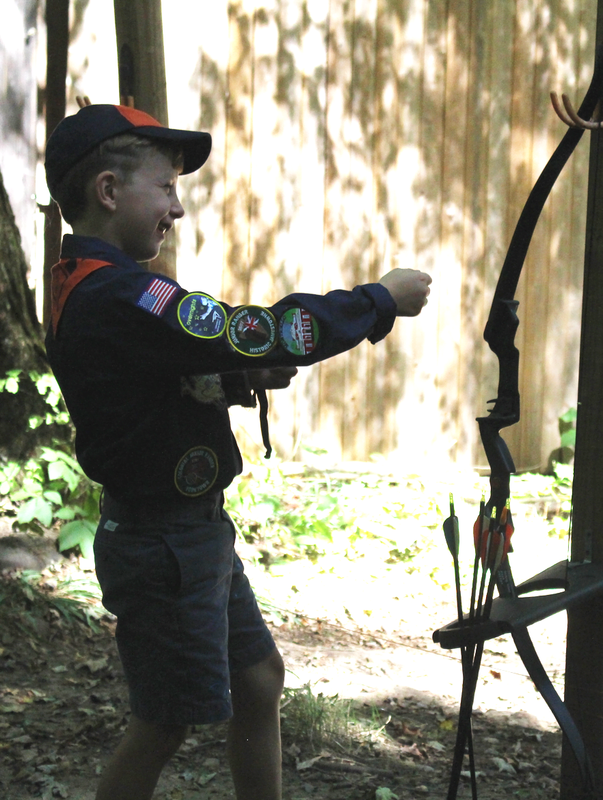 Registered Greenwich Cub Scouts interested in learning more about the program rotated through a variety of stations including fire building, campfire cooking, bouldering, BB shooting, archery, shelter building and leather stamping. At one of the first stops, boys learned from Kevin Gillick how to use flint and steel, and even batteries, to get a fire started. Gillick explained the “finger-to-leg-rule,” which encourages them to use sticks no bigger than a finger, and gradually work up to kindling the length of a leg. As boys attempted to ignite sparks, others roasted marshmallows over a roaring fire nearby.